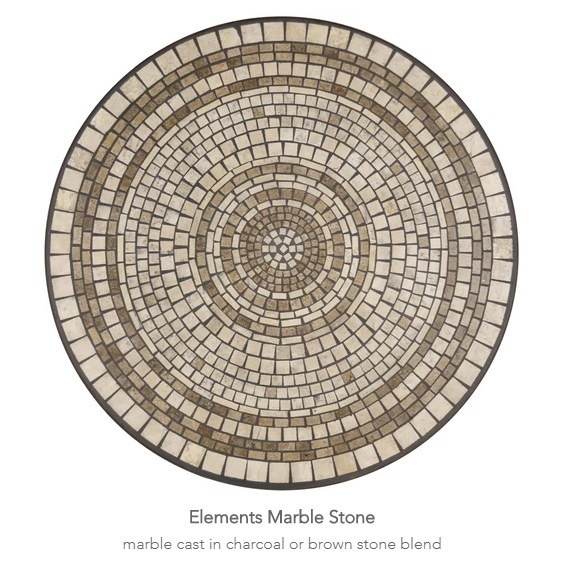 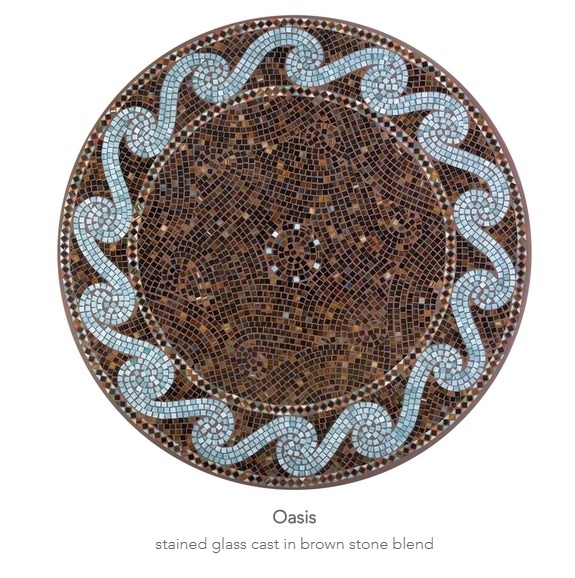 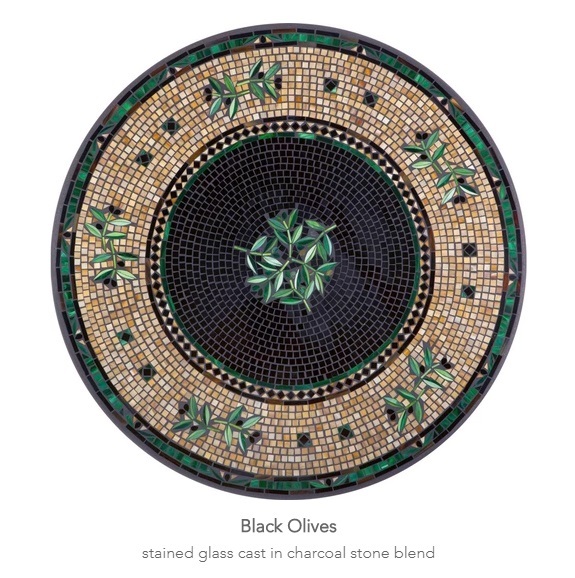 Neille Olson Mosaics are Smoothcast™ using a proprietary stone blend which is lighter and stronger than standard concrete. 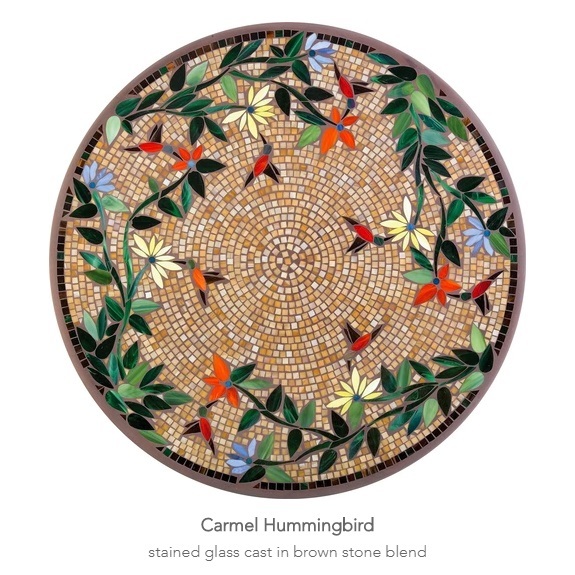 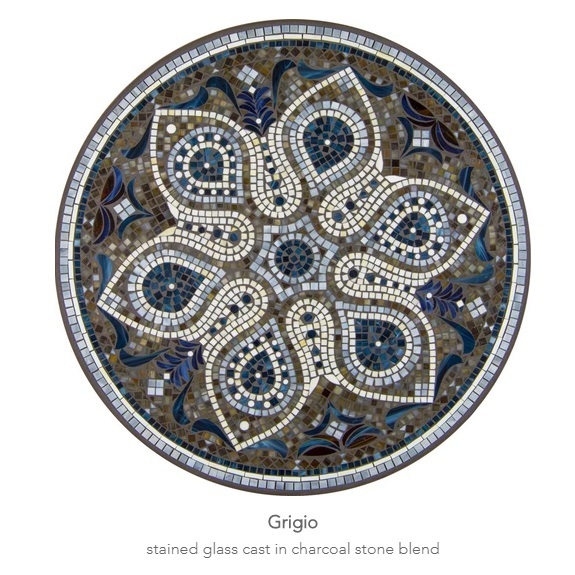 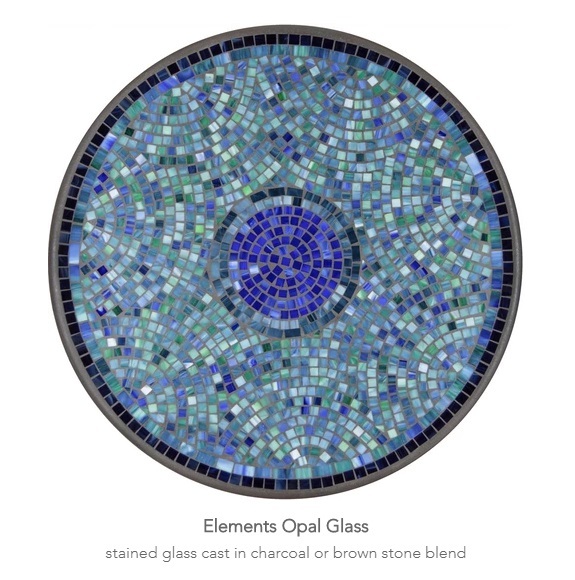 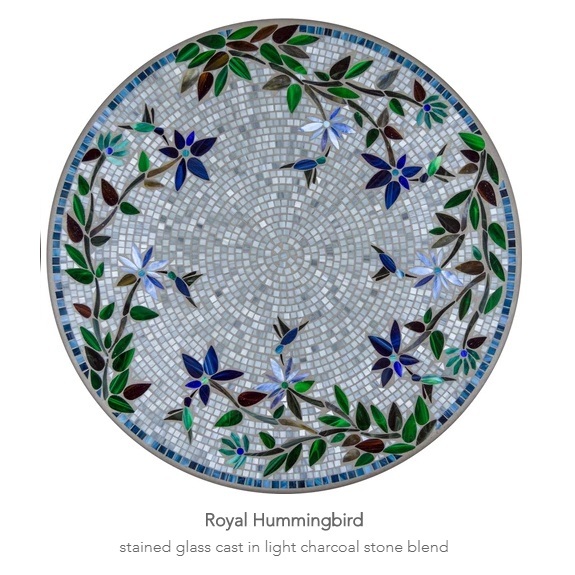 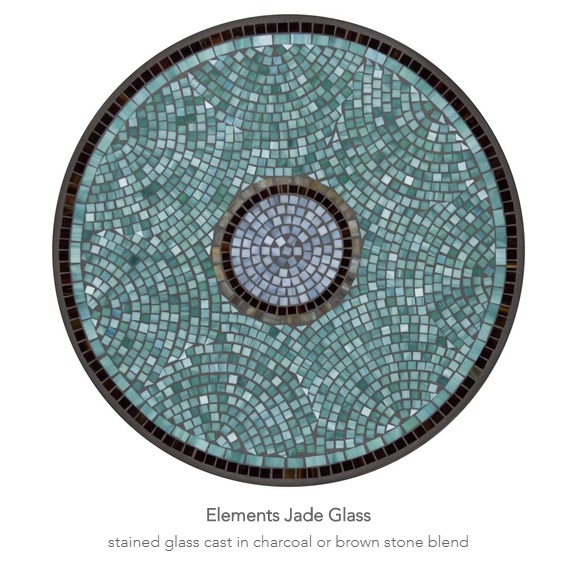 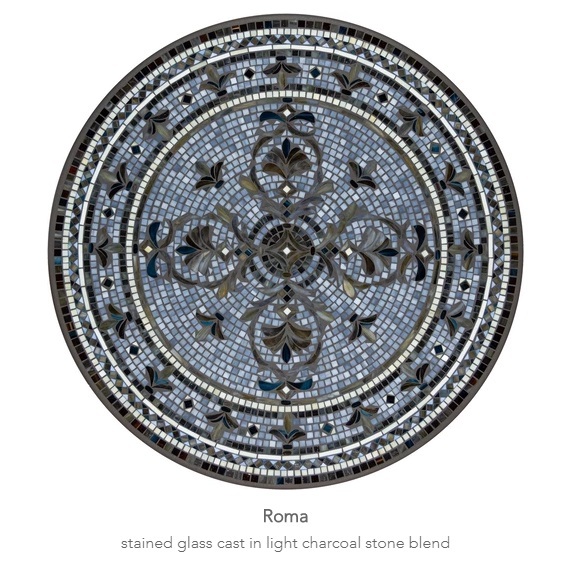 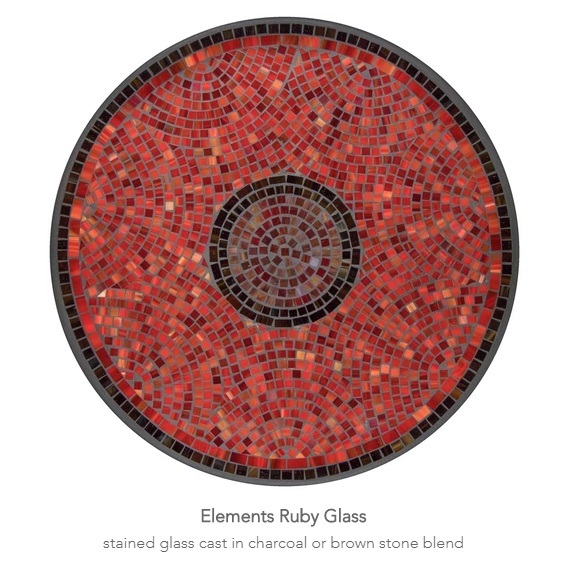 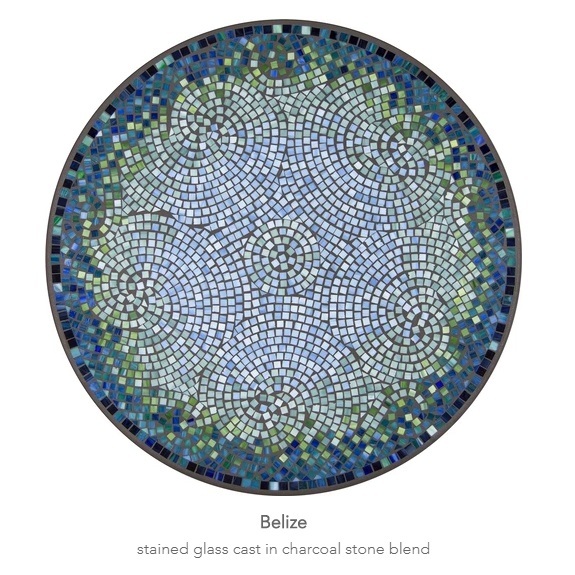 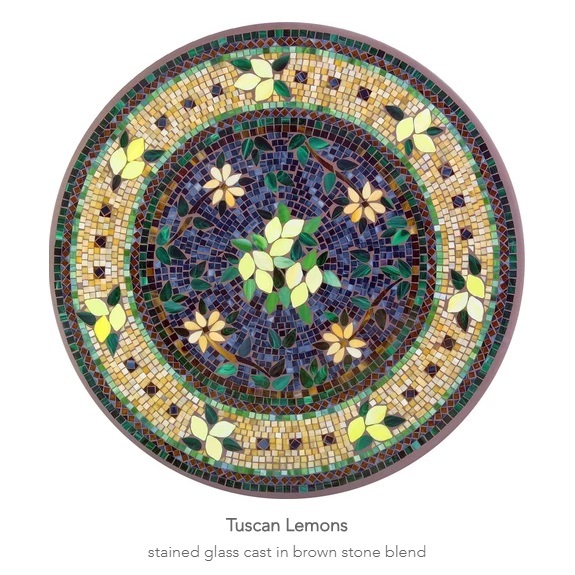 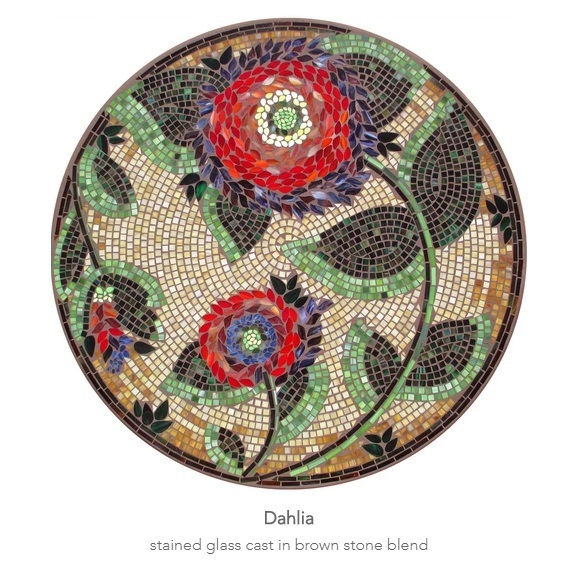 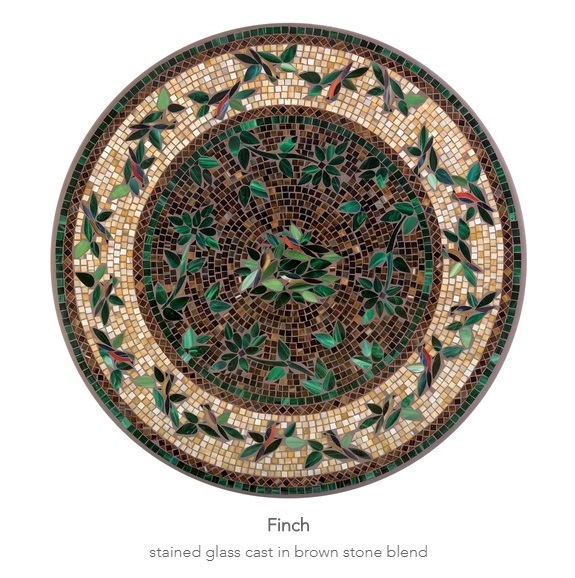 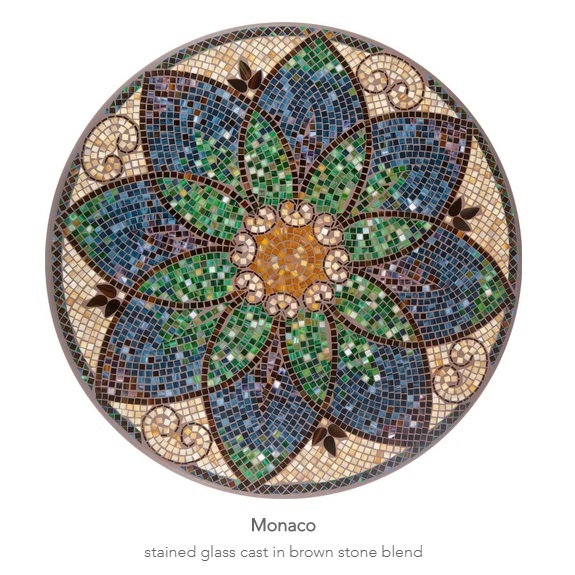 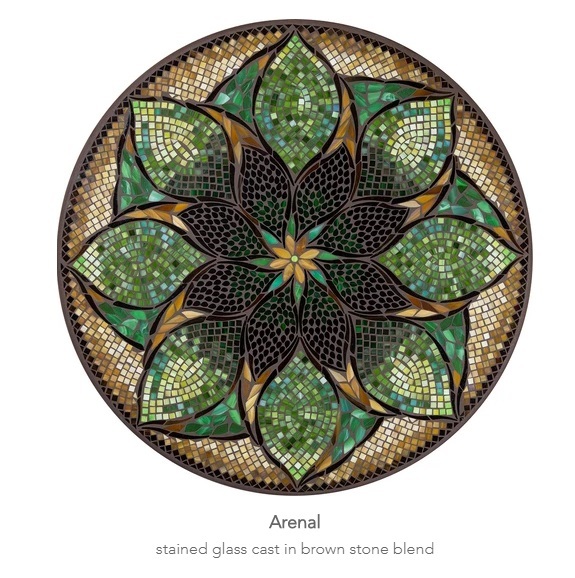 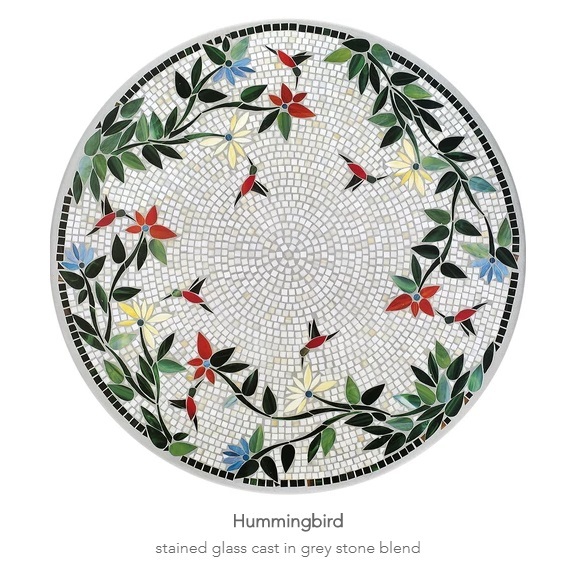 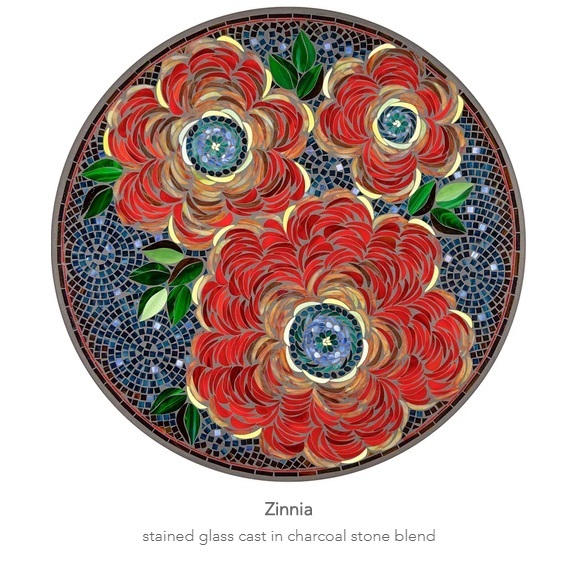 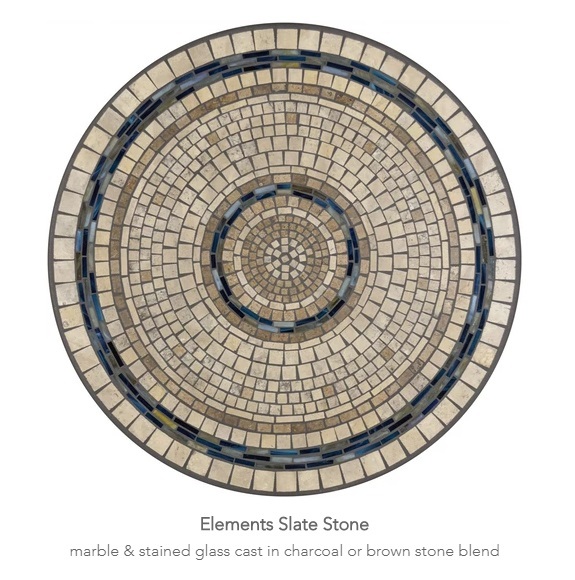 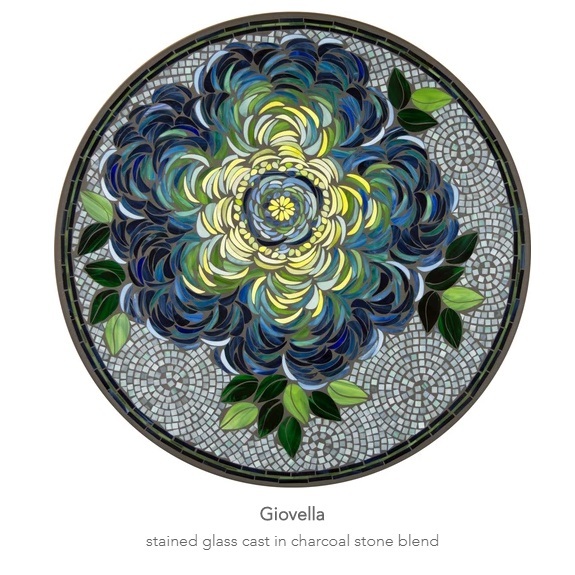 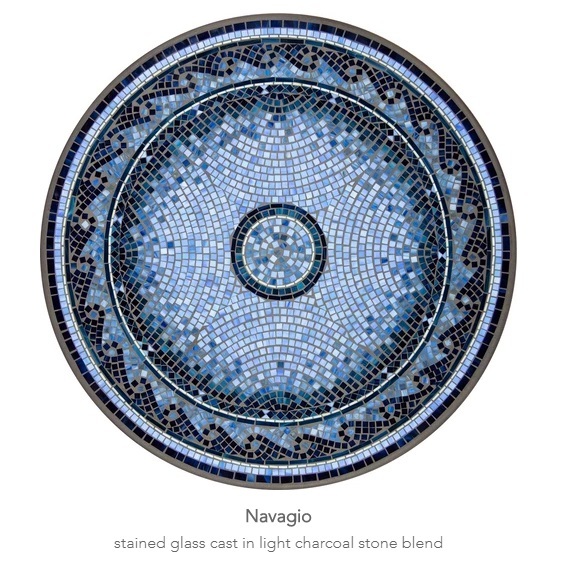 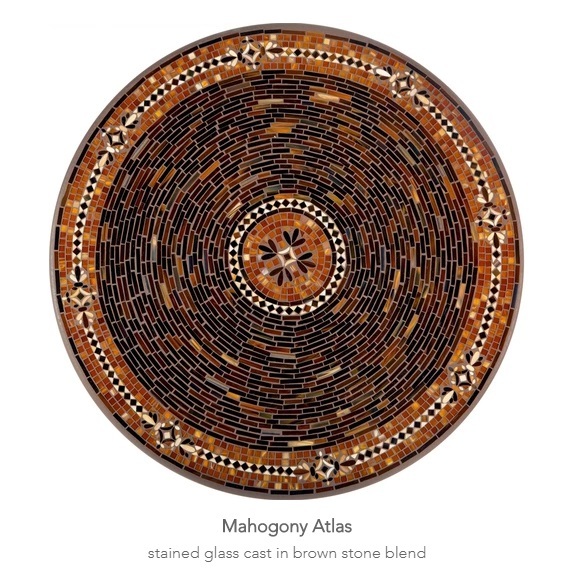 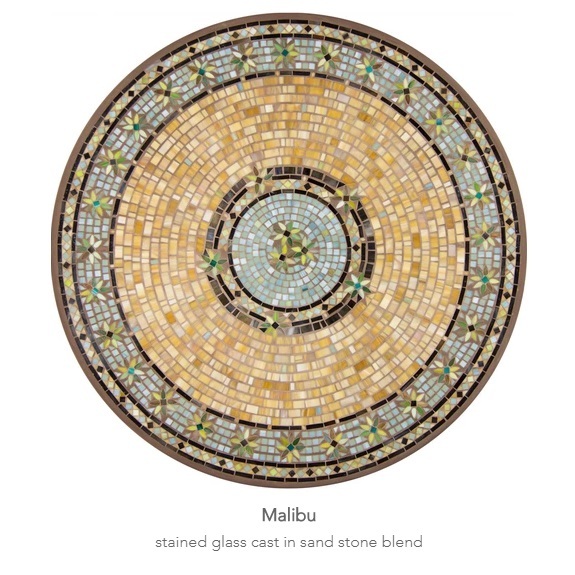 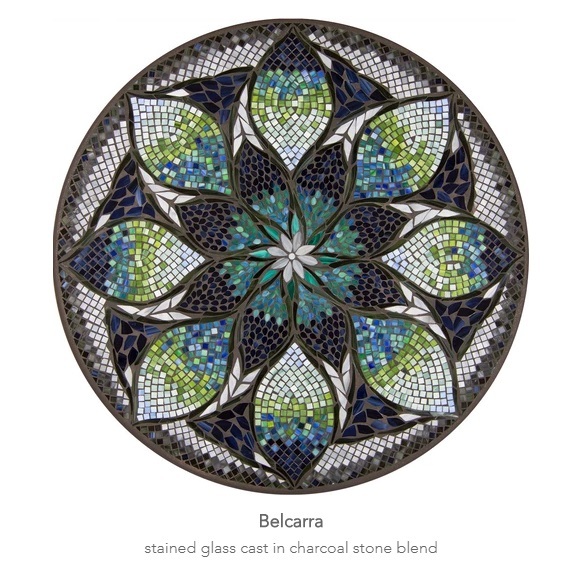 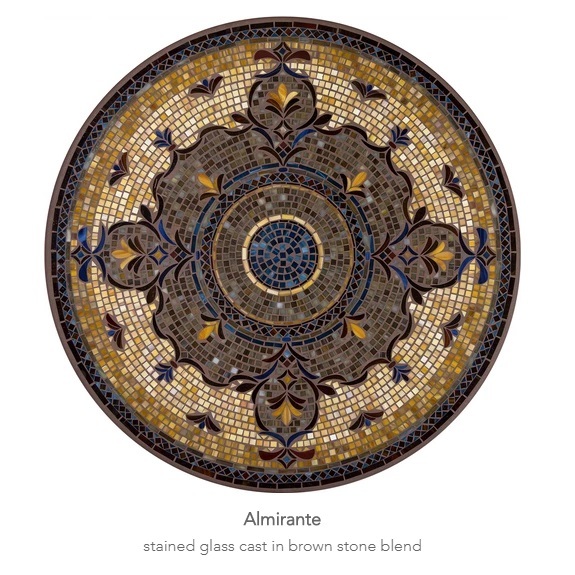 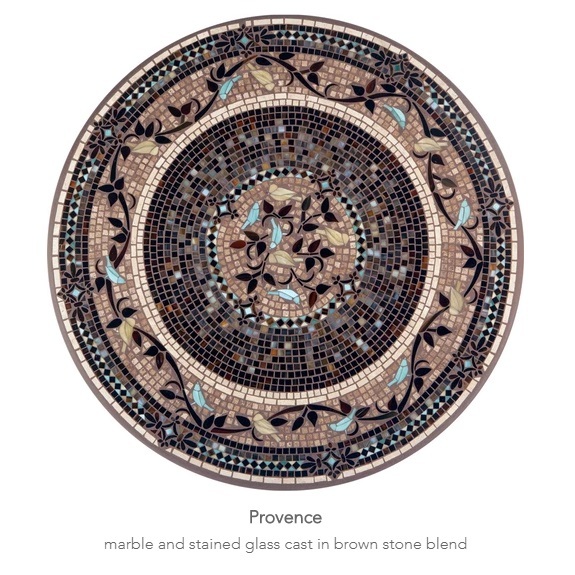 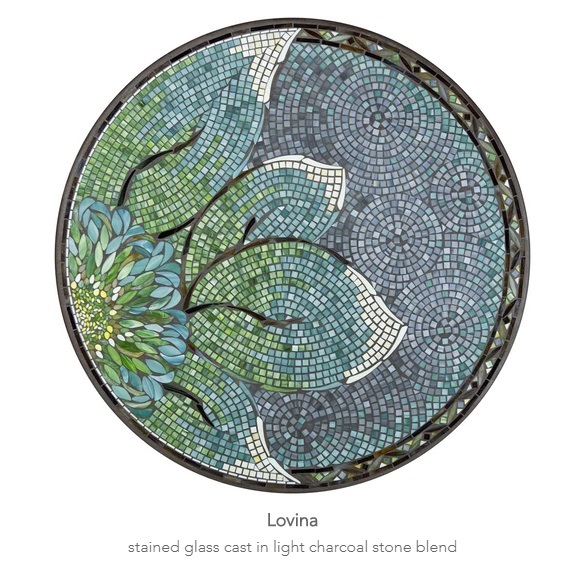 Hand-cut stained glass and marble tile come together for every design seen below. 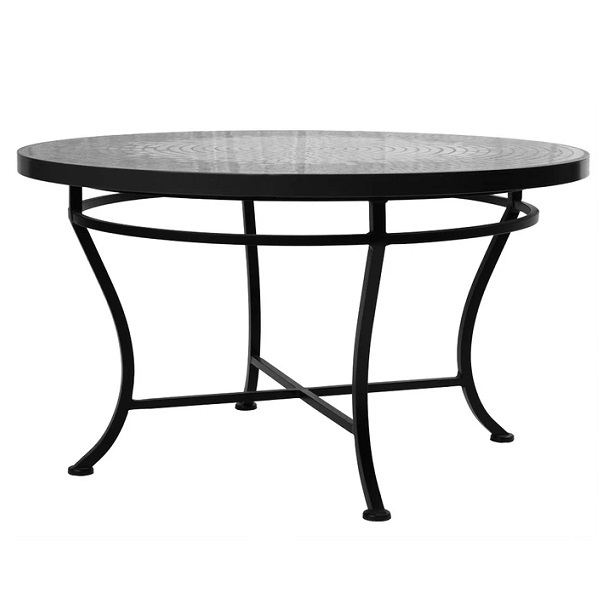 Enjoy the entire collection indoors or outdoors. 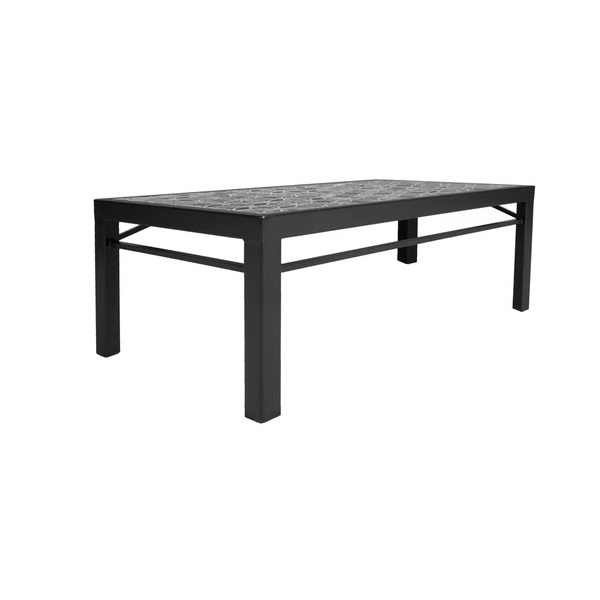 These are the table top options. 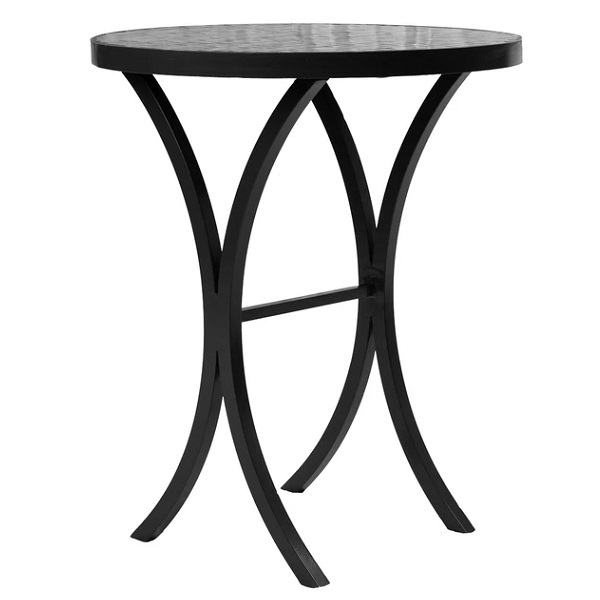 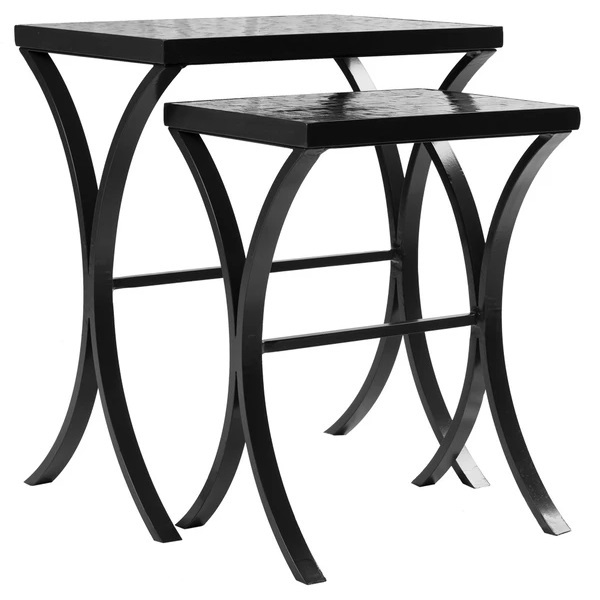 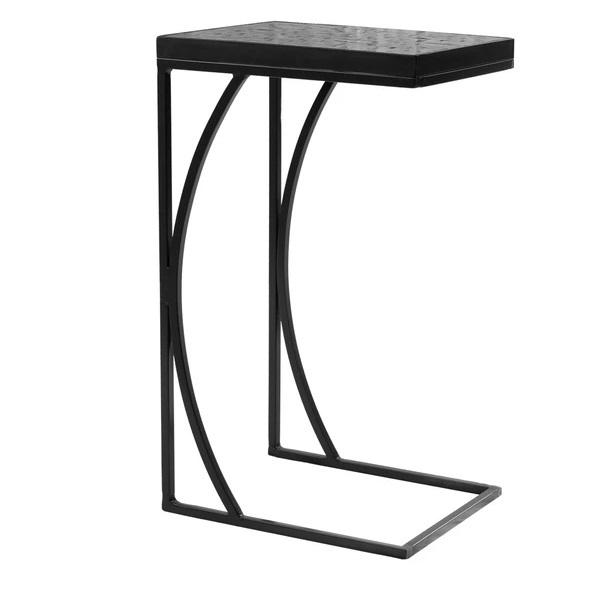 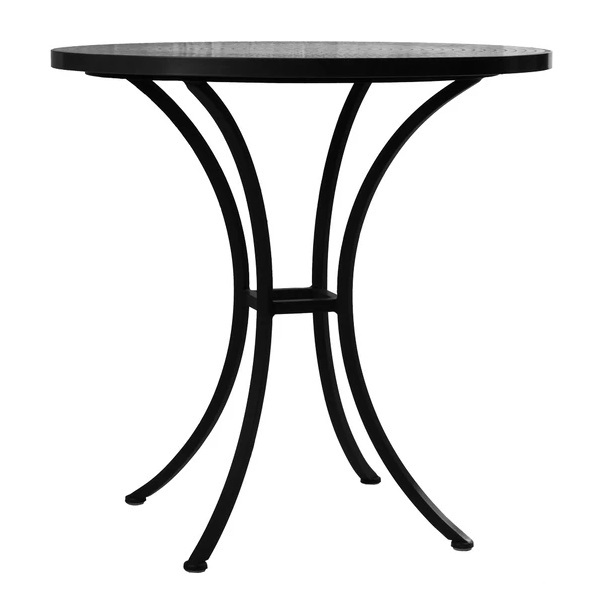 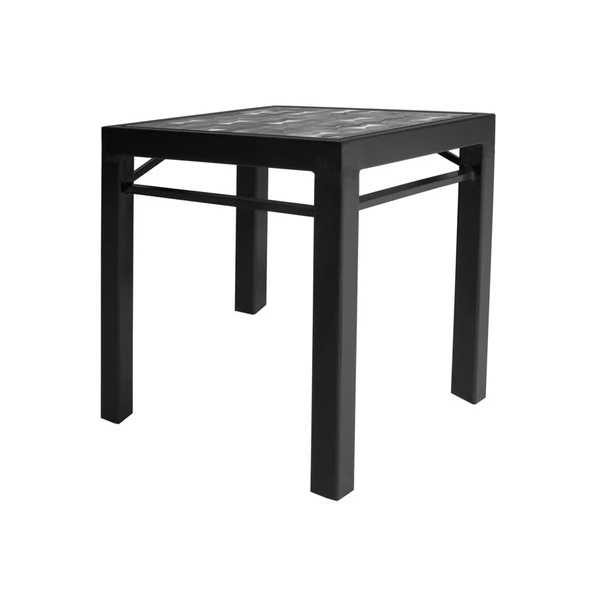 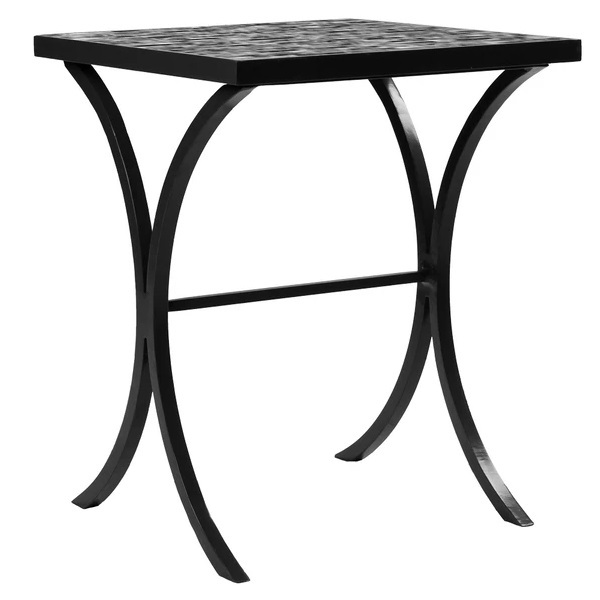 See the "Classic Base Options" tab for table base options.